Its spring time again. The flowers are blooming, the birds are singing and the weeds are emerging. 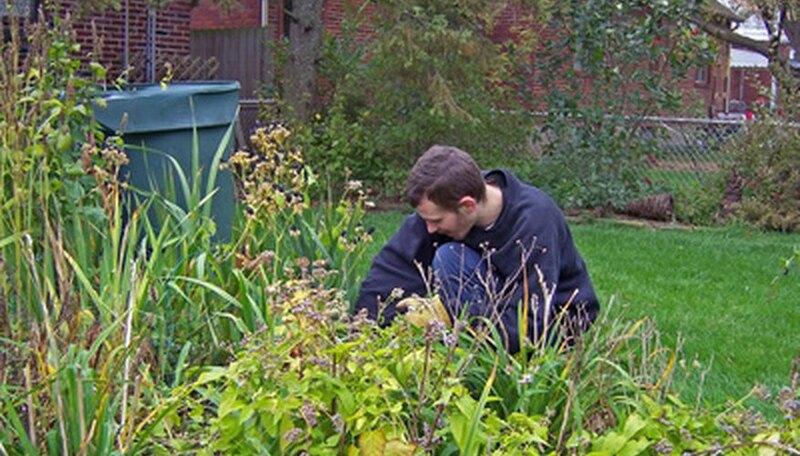 Lawn weeds are a continual battle for most gardeners given the need for timely removal. If weeds have taken over your yard and pulling them by hand does not seem like a viable option, it is time to step up the defenses and attack with some herbicide. Commonly known under the brand name Balan, this herbicide is known for its ability to control crab grasses and some species of broadleaf weeds, such as speedwell. Benefit is a pre-emergent weed killer. This means that it must be thoroughly watered into an existing turf lawn, or tilled into the soil before planting a new lawn. Trimec is a mixture containing 4-D, dicamba and mecoprop. Trimec is a post-emergent weed killer that kills broadleaf weeds on contact. This type of weed killer is also available under the names Spectracide Weed Stop, Ortho Weed-b-Gone Weed Killer for Lawns and Bayer Southern Weed Killer. Avoid using this killer near ornamental grasses, as it may damage their roots. Triclophyr can be purchased at garden centers under the brand name Monterey Turflon Ester. Triclophyr is a post-emergent weed killer that kills broad leaf and crab grasses. Triclpyr is meant for cold season grasses, such as rye or cold season turf grasses. Avoid spraying tryclopyr around bushes and trees, as it will damage their roots, due to its exceptional soil penetrating ability.